If you’re ready for an exciting new chapter in your career, consider helping create something really unique and different in the mortgage industry. Now is the time for you to be part of something special. We’re growing and expanding in Colorado. This presents an incredible opportunity for high performing Loan Officers to make a big impact on the trajectory of the company. We’re small enough so that the people actually doing the job, have the greatest input in creating the solutions; yet big enough to handle high-volume loan production and rapid growth. VIP Mortgage, Inc. is an award-winning, mid-size mortgage banker funding in excess of $1.5 billion annually. Since opening its doors in 2006 amidst the housing crisis, VIP continues to thrive and grow organically by creating a company with complete transparency and trust, truly listening to the people it serves, and concentrating on building relationships for life! Headquartered in Scottsdale, AZ, the company has grown to employ more than 450 employees spanning 16 states – AZ, CA, CO, FL, HI, IL, IN, MI, MN, NE, NM, OR, TX, UT, WA, and WI – in 25 licensed locations. The bulk of VIP operations is located at Corporate headquarters in Scottsdale, Arizona, where we offer in-house underwriting, processing, and funding presented through a fully-transparent origination platform to ensure all loans succeed. Our experienced staff offers expertise in every area of mortgage lending from purchase to refinance to construction lending. In addition, VIP Insurance Services, an affiliate of VIP Mortgage, offers same-day turnaround quotes and the opportunity to bundle and manage all of our clients’ insurances under one carrier, potentially saving customers up to 30%. 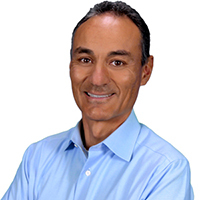 A former US Marine serving in Desert Storm, Jay has paved a successful career through the mortgage industry for 25 years, and founded VIP in 2006 based on what the industry was lacking – HEART. It is his personal goal to make the borrowing experience something customers want to tell their friends and family about. Born into the business as the son of a 35-year mortgage veteran, Keith is a passionate leader who thrives in management and identifying top contenders that are both compliant and ethical. He believes that product training, quality control and fraud training are the basic foundational fundamentals of building an incredible career-minded sales force. John is a master at identifying and mitigating risk to secure financial sustainability. 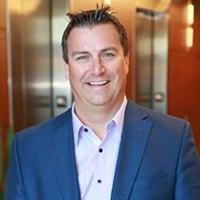 After a short stint in mortgages, he spent 15 years in banking before diving back into the mortgage industry in 2010, where he worked for one of the country’ largest and most respected lenders. 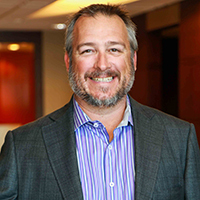 Jay Barbour, founder of VIP, had always envisioned creating a company for tenured and seasoned mortgage professionals that collectively run efficiently to provide customers with the ultimate experience, and VIP Mortgage was born. He created VIP based on what the industry was lacking – HEART – and continues to test the boundaries. The core of VIP has always been HEART; people with HEART doing more together than they ever could alone. This is VIP’s mantra; Linking the company’s initial vision of restoring the reputation of the industry with a focus on building relationships for life, came H.E.A.R.T. – the acronym for VIP’s core values, anchoring and guiding every action, interaction and decision our employees make on a daily basis.